Recently my husband and I were looking at photographs from our wedding day in 2010. As we browsed through the pictures I realized that I was actually struggling to remember the names of some of my happily smiling guests. So who were these strangers that I’d invited to share in the most meaningful day of my life? The answer is embarrassingly shallow. They were my former “salsa friends.” It’s sad to say, but when these folks lost their interest in salsa dancing, I apparently lost my interest in maintaining friendships with them. For some reason, as soon as these people permanently took off their dancing shoes our friendships quickly faded away. As I have lost nearly as many friends as I have made throughout the course of my “dance life” I can’t help but wonder whether friendships born from salsa dancing are really built to last. When I first began dancing in 2008 I quickly became addicted to the salsa lifestyle. Newly single at the time, I was ecstatic to have stumbled into such an active social life. I began spending most of my free time with members of my dance class and I felt as if I had finally found my tribe. We were a tight group and we spent hours laughing, talking, socializing, and dancing together. Inevitably, after about six months of intense “togetherness,” the salsa buzz began to wear off for some of my new friends. Cracks began to appear in friendships as some people became better dancers than others. Previously enthusiastic dancers started to become interested in other activities, while “less talented” dancers quit the scene altogether in frustration. Other people had found romantic partners who either encouraged them to take a break from dancing, or to stop dancing altogether. Whatever the reason, our group fell apart and no one made much of an effort to put it back together again. Fast forward to present day – out of our original group of about ten friends, there are only two of us who still dance on a regular basis. Predictably, while the two of us are closer than ever, our friendships with the rest of our original crew are either nonexistent or live only through Facebook. Your former BFF no longer seems particularly excited to see you, talk to you, or dance with you in a public social setting. So – what has happened? It may take a while to penetrate your brain, but the truth of the matter is that your former salsa dancing BFF has decided that you are no longer good enough. Perhaps you are not a “good enough” dancer, or perhaps you are dancing the “wrong way,” but whatever you are doing, it is not good enough. It does not matter that you’ve been dancing way longer than your BFF or that you are highly skilled in whatever style you dance. No. All that matters now is that you dance “ON 1” while your BFF dances “ON 2” or that you are not a member of your BFF’s advanced class or elite dance team. 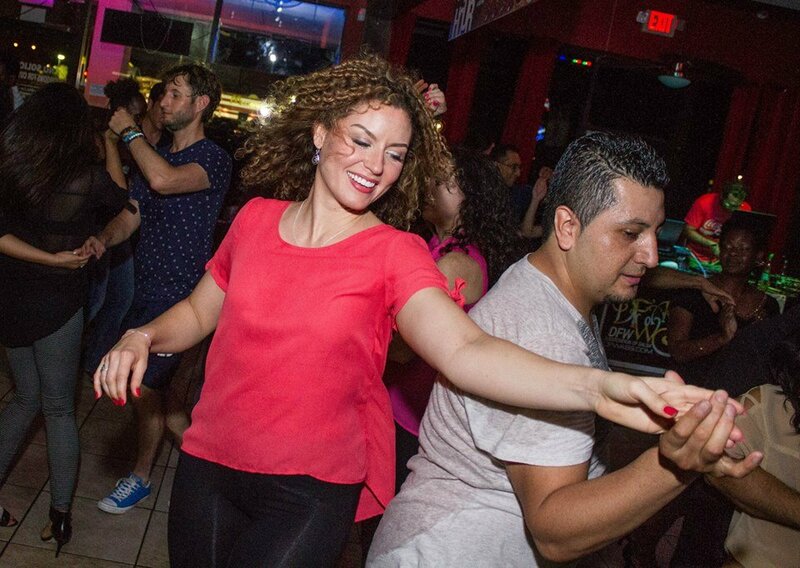 It’s easy to become fast friends with people you meet while out salsa dancing. You are meeting under the happiest and most carefree of circumstances, and few folks are interested in talking about issues any more serious than where to go out to eat when the exhilarating night of dancing is over. That’s why it comes as such a shock when you check your phone and happen to read a completely offensive comment that one of your salsa dancing friends just posted on social media. Surprise! That friend you adore has just “outed” him/herself as a supporter of a politician you absolutely cannot stand. As a salsa dancer living in a Midwestern American “swing state” I have repeatedly witnessed the havoc that the current toxic U.S. political culture has wreaked upon “salsa friendships.” I know students who have quit taking classes with particular dance teachers over political comments the teachers have made on social media. I also know dance team members who have become so incensed with each other due to political differences that they no longer wish to speak, let alone dance with one another. Other people, (myself included), have deleted various “salsa friends” from social media accounts or have stopped inviting former friends to social events. 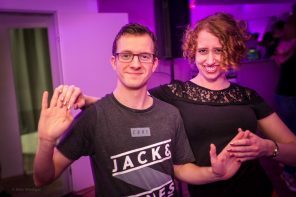 While I know this phenomenon is not unique to dancers, it has been rather jarring to see the political divide play out on the local salsa dance floor. In conclusion, there is no doubt that true and lasting friendships can be formed with people we meet through salsa dancing. Some of my very closest friends fall into this category. We may have met dancing, but almost nine years later we’ve been through all kinds of experiences together, on and off of the dance floor that prove that our friendships are unmistakably real. However, it is also true that my lasting “salsa friendships” are with friends with whom I am still dancing. While I have managed to maintain relationships with old college or high school friends whom I see on an infrequent basis, for some reason I have been unable to do the same with my former salsa dancing friends. Perhaps this is to be expected from friendships formed in a world in which you can intensely connect with a complete stranger for four minutes on the dance floor, only to spend the rest of the night avoiding eye contact with him/her. 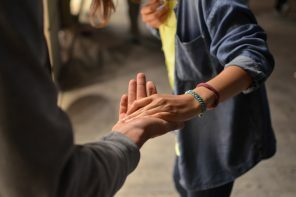 Through dance and music we are often able to feel immediately connected with other people sharing in this experience, but when the dancing goes away sometimes it seems like everything else does too. Thanks for your interesting article. I have been dancing Salsa for over TWENTY FIVE years. I literally know hundreds of people in the scene since I’ve been around so long and had my own Latin dance company for 11 years. Although some of my very BEST friends are from the Salsa world, I can probably count those REAL friends on one hand. Almost all others are as you say, Salsa friends. I do take responsibility for some of it, however, as when I was younger and completely CONSUMED by the dance, I never took time to really talk to people because I just wanted to dance EVERY dance. Now, I don’t mind sitting out the faster songs and I prefer quality to quantity of dances. I actually enjoy sitting and getting to know people now. Happy SALSAing!! Thanks so much for your comment, Abbey. It’s very inspiring for me to hear from someone who’s been dancing for 25 years! I hope that I can say the same years from now. Thanks again, and keep dancing!! I think it means – “Best Friends Forever”? I’ve been dancing for 12 years and there is a regular tendency for some people to move on. 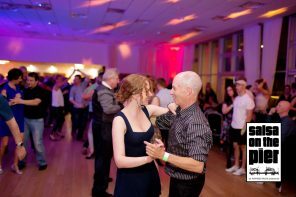 In the first place as a social dance, dancing is a shared art form and the relationships are at arms length even though dancing implies some intimacy. For shy people its something to do until you can figure out what to say to another person. Some of the best people do drift off to have children or move to other cities. Those that want to have a vigorous physical life stay around. In politics, it can be tough. I’ve seen very conservative people in dance even though in Latin dance you would expect there to be a fair amount of liberal thinking. Disagreeing with someone doesn’t have to be the end of a relationship. you just need to both respect the thinking and different ideas that in total collaborate to make a free society populated by free speech and an examination of the best ideas for the future of the country.